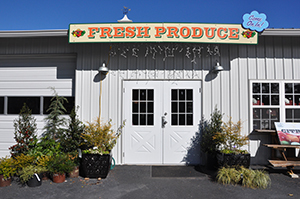 Wingard’s Produce Market takes pride in showcasing produce purchased locally from the farm, with no middle man. Eat local, buy local, is our motto! Here at Wingard’s we are passionate about eating and buying local! Working with area farmers, we are making it easier for you to know where your food comes from. By supporting the locally grown food movement we cater to those who care where their food comes from. We are stocking our market weekly with locally grown fruits and vegetables to meet this need. Specializing in delicious sweets … for every taste …. for any occasion. All items are made from scratch with no added preservatives. Click here for a complete list of baked goods by JoAnn’s Kitchen.